In 3-quart saucepan, cook and drain gnocchi as directed on package. 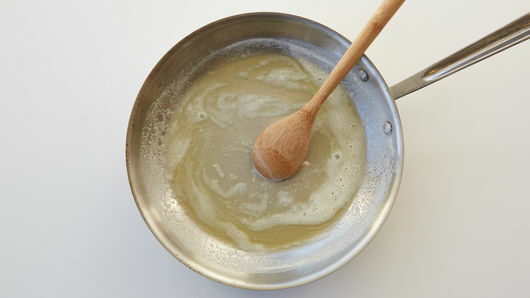 In 12-inch stainless steel skillet, heat 1/4 cup butter over medium heat 2 to 3 minutes, stirring constantly, until butter begins to brown and smells nutty. Remove from heat, and transfer to small bowl. 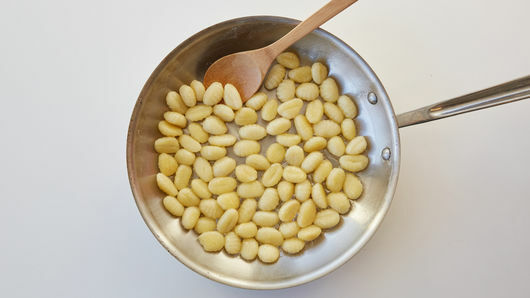 Add remaining 2 tablespoons butter to skillet; cook gnocchi over medium heat 5 to 6 minutes, stirring frequently, until lightly browned. Stir in mushrooms, 1 tablespoon thyme, the salt, pepper and half of the reserved brown butter. Cook 3 to 4 minutes, stirring frequently, until mushrooms are tender. Stir in remaining half brown butter and the garlic; cook and stir about 1 minute or until fragrant. 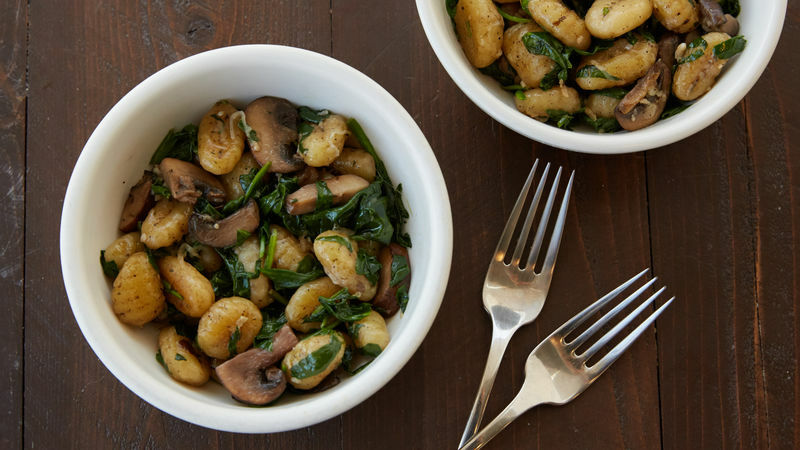 Gradually add spinach to skillet; continue cooking just until wilted. Remove from heat; stir in 1/4 cup of the Parmesan cheese. Serve with remaining 1/4 cup Parmesan cheese. Garnish with additional thyme leaves. 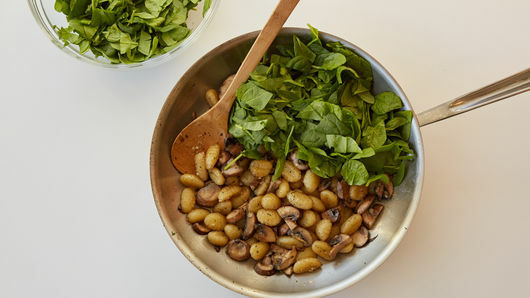 Shelf-stable potato gnocchi can be found in the pasta aisle of the grocery store. Serve with a fresh, green salad for a complete meal, or serve smaller portions as a side to grilled chicken or steak.